Whether you live in the U.S. or are visiting from another country, Washington D.C. is a must see. Boasting some of the best restaurants, boutique hotels, monuments, and museums in America, you could easily spend months exploring and never see (or eat!) the same thing twice. That said, most visitors only have a few days to pack as much as possible into a visit. Odellia Fisher, founder of Take OFF Travel*, a family-friendly travel planning agency, has compiled for Daytripper365 the ultimate 4-day itinerary for your next visit to our nation’s capital. High on our list is a visit to the new National Museum of African American History and Culture, located at the base of the Washington Monument. Opened in September 2016, The Museum is the 19th museum of the Smithsonian Institution and has welcomed more than one million visitors since it’s opening. Founding director Lonnie G. Bunch states: “This Museum will tell the American story through the lens of African American history and culture. This is America’s Story and this museum is for all Americans.” Extremely popular since day one, you must have a timed pass to visit the Museum, advance timed entry passes for individuals are released monthly. The next release for September 2017 is on Wednesday, June 7th at 9 a.m. ET. Mark your calendar as passes go very quickly when released. There is a limited supply of same day tickets available online starting at 6:30 a.m. For more information click here. Before you go download the NMAAHC Mobile app to complement your Museum visit. Stay: The Ritz Carlton never disappoints, and D.C. boasts two locations – downtown and Georgetown. You’ll also be delighted with the service and you cannot beat the locations for the JW Marriott, The Willard, and The W-- all perfectly situated for seeing the sights. For those looking for a “downtown” vibe, try the Kimpton Hotel in Dupont Circle. For something more cozy and quiet look no further than The Four Seasons in Georgetown. Show Me the Money: Located on 14th and C Streets, The Bureau of Engraving & Printing is well worth the money. Millions of dollars will actually be printed while you tour this government facility, as you witness first hand the production process and watch an introductory film about the creation of our currency. The tour runs from Mid-March through early September and takes about 40 minutes. Best of all it’s free, but you’ll want to arrive early as tickets are given out on a same day basis .The booth opens at 8:00 and closes when tickets are sold out. Your best bet is to arrive 1-2 hours before the booth opens. Tip: Don’t feel like waiting in line so early in the morning? Then utilize Take OFF Travel’s convenient on line waiting services. 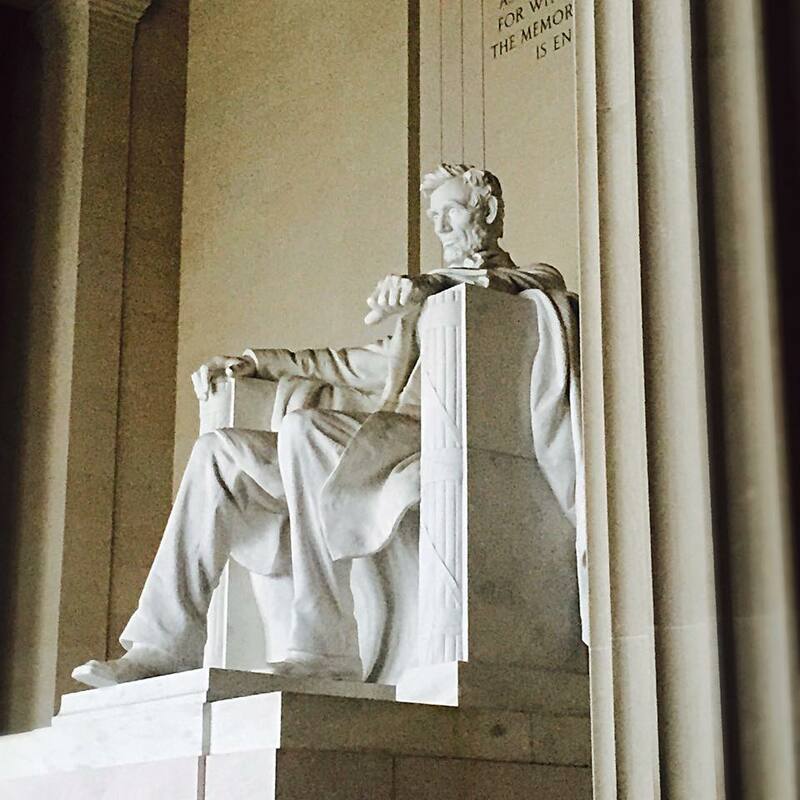 Hit the Mall: The National Mall is 1.9 miles, wear comfortable shoes and be prepared for a lot of walking in one day! Spend time at both the Jefferson Monument and Lincoln Memorial, or better yet leave the Jefferson Memorial for later, as it is especially striking when seen at night. Kids might appreciate a paddle in the paddleboats available for rent at the Tidal Basin near the Jefferson Monument; adults might enjoy a moment of peace at the reflecting pool at the foot of the Lincoln Memorial. 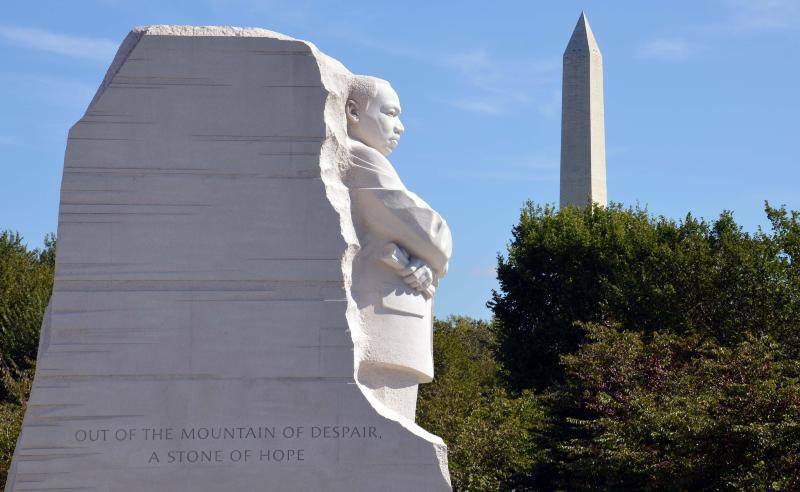 Other must see monuments and memorials on the Mall include: The Martin Luther King, Jr. Memorial, the Franklin Delano Roosevelt Memorial, Korean War Memorial, and Maya Lin’s Vietnam Veterans Memorial. Lunchtime: On a nice day how about a picnic on the Mall? Bring a blanket, football and/or Frisbee and some great take out from Woodward Table or Red Apron for a great day on the Mall. DC has surely become a “foodie” city while in between seeing the sights take a break at Oyamel, Hill Country Barbeque, Graffiato and Vintage Matchbox Pizza just to name a few. For old school DC where you’re likely to see someone “important” head over to Old Ebbit Grill. Take note of the beautiful mural on the wall in the main dining area. Touring Tips: From private tour guides to specialized companies to free walking tours, bike tours, and hop on/hop off busy and trolley tours, there’s more than one way to get around the city. A guided tour is a great way to get the lay of the land. For those visitors looking to fuel their Fit Bits, we recommend Free Tours by Foot. Prefer two wheels? Try Capital City Bike Tours (they also offer Segways!) Trolleys are another great way to get around town, and we like Trolley Tours. There are also Big Bus Tours and even discount tours. Consider an evening tour to see the monuments lit up for the night. Soak It In: Spend your afternoon absorbing our country’s culture and accomplishments at one of the city’s countless museums. Choose from the Smithsonian, the National Museum of American History, or the National Air & Space Museum. Younger kids will love The International Spy Museum, which is open until 8PM for those secret after-dinner missions, or The Newseum, which is dedicated to defending free expression and the freedoms protected by the First Amendment. Gee, George: Start your day with a trip to the spectacular Washington Monument! Unfortunately the elevator to the top of the Monument is currently under renovation till spring of 2019; nevertheless this monument is rich in history and a great sight to see. Get Down to Business: From the Washington Monument, head to the U.S. Capitol for a tour of the meeting place of our U.S. legislature. The building, which began construction in 1793, also includes a restaurant. Tours can be booked on own or you can make a request through your local congressperson. Lunching with Lobbyists: Two great choices for lunch on Capitol Hill: Ted’s Bulletin (make sure to have a milkshake and their famous pop tarts) and We the Pizza for a quick lunch before heading out to see more history. I Do Declare: See the original Declaration of Independence, the Constitution, the Bill of Rights, and more, at The National Archives Museum. Advanced tickets and docent tours available in advance here. Wine and Dine: You’re bound to be hungry after a day of touring! Luckily, nearby Georgetown offers a seemingly endless assortment of options. We love Farmer Fischer Baker on the Harbor for dinner. Morning Meal: Start your day with breakfast at the delicious Founding Farmers or Lincoln Waffle Shop. Watch Your Head: Head to the very spot where President Lincoln spent his final hours -The Ford's Theater. Be sure to pre-purchase tickets and to use the excellent audio tours. Drum Roll, Please: It’s the moment you’ve been waiting for…sort of! Experience the White House without ever stepping inside, at the White House Visitors Center on Pennsylvania Avenue. White House tours must be requested about 6 months in advance via your congressperson and are very hard to get right now. The center is the next best thing! Never Forget: The United States Holocaust Memorial Museum tells the story of one of humanity’s most devastating tragedies starting with the growth of anti-Semitism in Europe, the Nazis rise to power, and Hitler’s “Final Solution”— it is a powerful and moving experience. For younger children, Daniel’s Story, is a free, interactive exhibit located at the entrance. To view the permanent exhibits, tickets must be booked in advance or check with your hotel concierge as they often have tickets on hand. Afternoon Excursions: Take a short trip to visit Mount Vernon, the home of George and Martha Washington, featuring 500 acres, three gardens, workshops, a carriage house, green house, slave quarters, a kid’s museum, and more – just don’t forget to make a reservation. Old town Alexandria is also worth a visit, with historic homes, shops, taverns, and more—only a 15-mile drive from D.C., there’s truly something for everyone. Leave time to visit the Torpedo Art Gallery for a little art history. Eats: Washington D.C. is a mecca for fine cuisine, some of our favorites include: Mediterranean food at Zaytinya, a pizza pie from Matchbox, pasta and more from Fiola Mare, Rose’s Luxury or Acqua Al 2, fine French food at Le Diplomate, Mexican fare at Oyamel Cocina Mexincana, Spanish tapas at Jaleo, or new American at The Source by Wolfgang Puck. Be a Sport: The Nation’s Capital has no shortage of sports teams. If the timing works, why not take in a game during your visit? Our favorite is going to a National’s game…what could be more American than baseball in DC? Take a water taxi or hop on the Potomac River Boat from SWDC over to the National’s Park stadium and enjoy gorgeous views of DC sights along the way. ***Take OFF Travel offers itinerary planning & concierge services that take the stress out of family travel planning. We help families make the most of their time together, planning everything from where to go, what to do to, great places to eat and how to get from here to there. From long weekends, to school breaks, extended vacations, and even staycations, Take OFF Travel has coordinated vacations all over the world for families with children of all ages, interests and needs. For more information, please email or call 516-514-0685.